The Brig o' Balgownie in Old Aberdeen is a popular walk amongst students, residents and tourists of Aberdeen due to its stunning views across the River Don. Seals can often be seen in the waters and sandy area. The Brig o' Balgownie can be found behind the Hillhead Aberdeen Universit Students Accommodation and can be reached by car though only pedestrians may cross it. 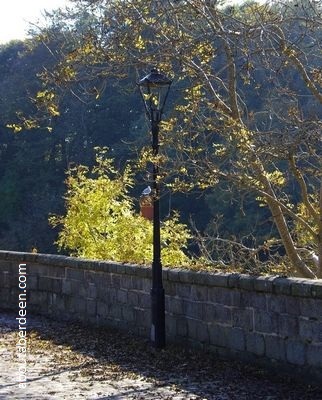 It is popular with brides and grooms for wedding photos, particularly next to the Victorian lamppost. It is thought that the bridge known as the Brig o' Balgownie was built upon the instruction of the Bishop Henry Cheyne in the late 13th or early 14th century. Legend has it that Robert the Bruce completed the work. There were three rebuilds of the Brig o' Balgownie in the 17th century. Lord Byron studied at Aberdeen University and fondly recalls the Brig o' Balgownie in his poem Don Juan. The pool of water below the Brig o' Balgownie is called the Black Neuk. Until the Bridge of Don was built in 1831 the Brig o' Balgownie was the main crossing across the River Don. The Brig o' Balgownie is listed as a Scheduled Ancient Monument. The other names for the Brig o' Balgownie are Brig o Balgownie, the Brig o Don and the Bridge o Balgownie.